Hand crafted by our women artisans in rural Vietnam and Cambodia, this quilt features an intricate lotus flower design. 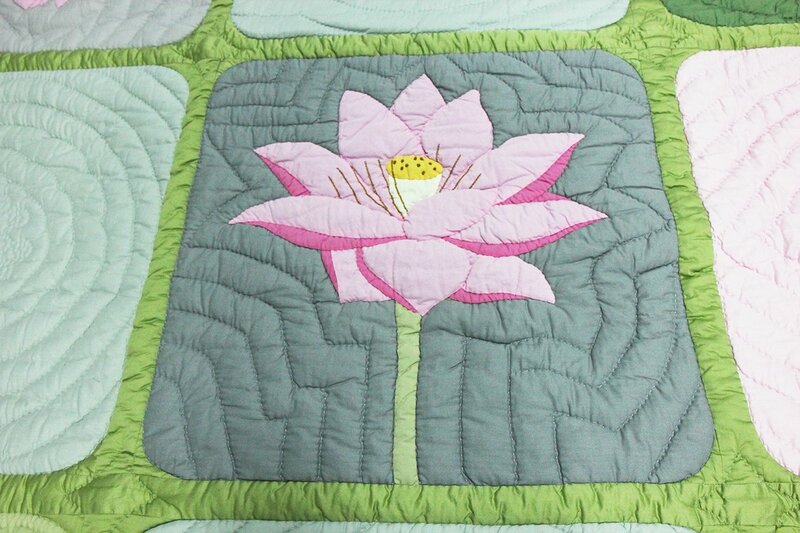 The Lotus flower is a feature of all SE Asian countries, if you are lucky enough to see them blooming in natural ponds and waterways, the sight is breath-taking. 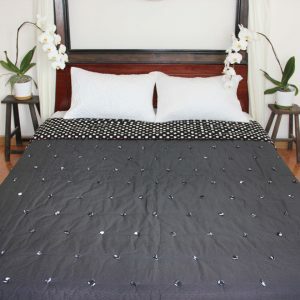 The quilt is made with 100% cotton and is hand-stitched with intricate detail in the form of a lotus. 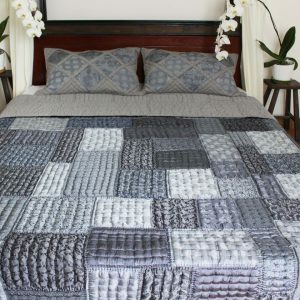 It is bordered with a geometric design in tonal thread. 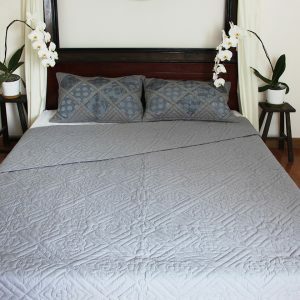 The backing is simply one fabric in a complementary colour in cotton. 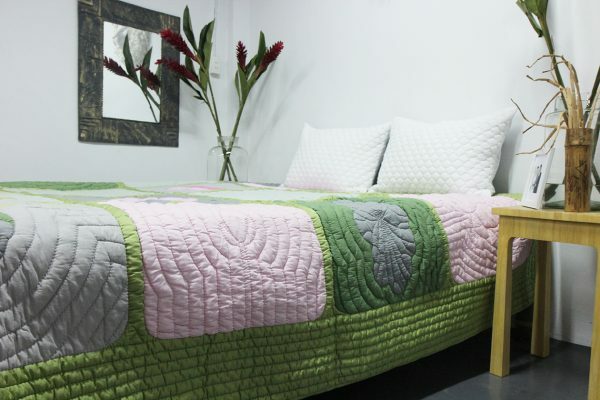 Between the hand-stitched layers is a filling of polyester batting for warmth and comfort. 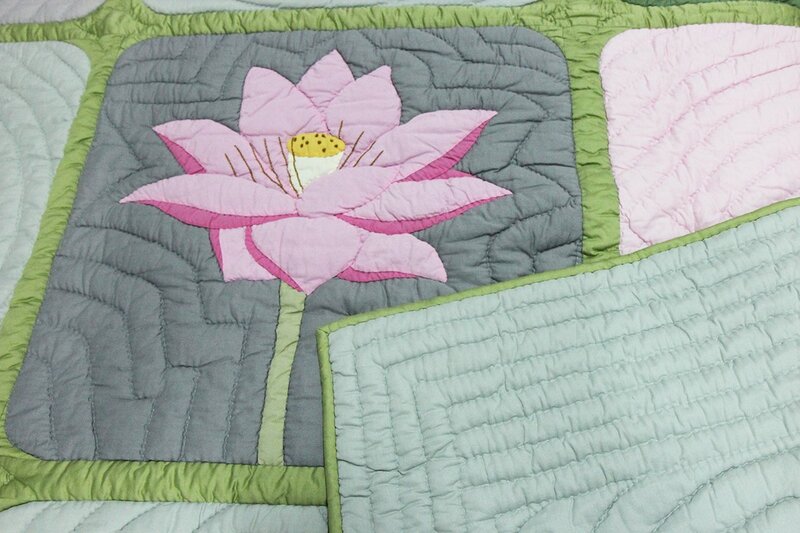 The layers are stitched together in intricate patterns to prevent shifting and to keep the layers secure for the long life of the quilt. 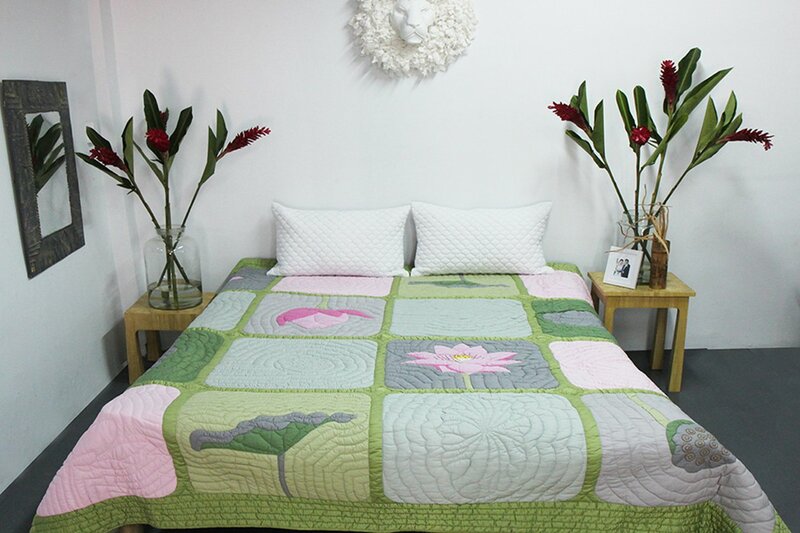 This handcrafted quilt is king size and measures 240 x 260 cm. 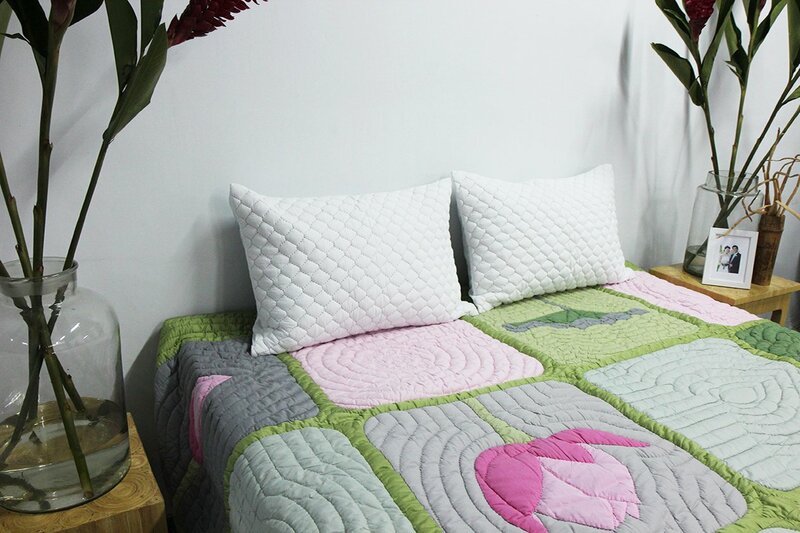 It is guaranteed to bring individuality and happiness to any home. Watch this 2′ video to see how the quilt program has transformed Ms. Ngọc and her family’s life. Ms. Ngọc moved out of her plastic shelter and now lives in a house made of concrete with her 2 children and husband.